Schedule and Tickets Now Available! Sexual Harassment video-on-demand Training – Now Available! 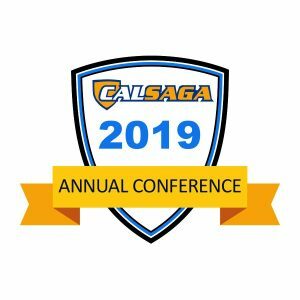 CALSAGA is the only industry association in California dedicated to advocating on behalf of the security industry in the Legislature and at the Bureau of Security & Investigative Services (BSIS) to make sure your voice is heard. The organization, which was originally started in 1994, has led efforts over the past several years to bring greater accountability in licensing, training and background screening standards that has made California a national leader in security. From small firms to some of the largest private security companies in the world, our legislative successes are due largely in part to our strength in numbers. As a membership service association, CALSAGA is dedicated to improving the services of the security industry, representing the professional and business interest of Private Patrol Operators, Proprietary Private Security Employers, Private Security Training Facilities, Private Security Trainers and their employees. Are you prepared for the new sexual harassment prevention laws? The fourth edition of The Californian: The Quarterly Newsletter of CALSAGA is now available! Click here to read The Californian. This is your last chance. The third edition of The Californian: The Quarterly Newsletter of CALSAGA is now available! Click here to read The Californian.